The Delhi High Court today said it will seek implementation of the recommendations of a panel set up by it to look into the excess fees charged by private schools here on the pretext of implementing the 6th Pay Commission. 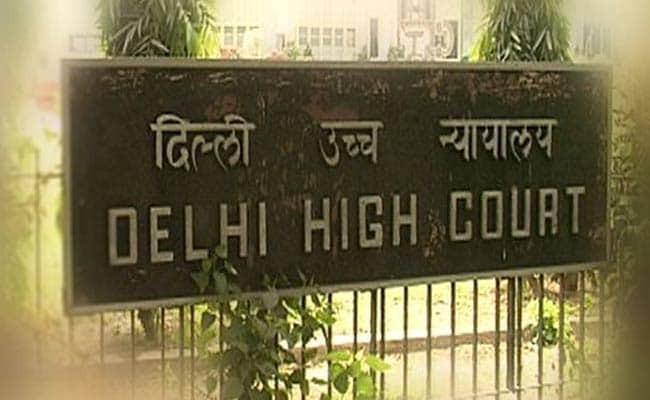 New Delhi: The Delhi High Court today said it will seek implementation of the recommendations of a panel set up by it to look into the excess fees charged by private schools here on the pretext of implementing the 6th Pay Commission. A bench of Justices Siddharth Mridul and Najmi Waziri also said that the schools could not have recovered from the students by way of fees more than what was required to be defrayed to teachers under the 6th Pay Commission (6PC). It made the observations while hearing a private school's plea for recall of the Justice Anil Dev Singh committee recommendations to refund excess fees. The application has also challenged a May 29 notice of the Directorate of Education (DoE) ordering refund of the excess fees charged by schools, failing which the institutions could face de-recognition or takeover by the department. The court issued notice to the Delhi government and sought its response by September 6 on the school's application which claimed that it has been paying its teachers as per 6th Pay Commission (PC) from 2009 onwards. The bench told the north-east Delhi based Siddharth International school that it will have to show from its account ledgers the amount it was paying to its teachers prior to 6th Pay Commission and what was paid after it came into force. It sought the ledger details as the school in its application had not given any specifics regarding the payments it had claimed to have made. During the arguments in the matter, the bench was informed that similar pleas were pending before a single judge bench which had declined to stay the panel's recommendations or the DoE's order. The single judge had also said that an interim order would be passed only if the parties concerned deposited the entire tuition fee and the development fee, along with an interest of nine per cent per annum, as recommended by the committee. The bench of Justices Siddharth Mridul and Najmi Waziri observed that there was a possibility of contradictory orders if it was seeking implementation and the single judge was hearing review, of the panel's recommendations. The court, however, made it clear it would seek implementation of the recommendations. The application by Siddharth International was moved in a petition filed by an NGO alleging non-implementation of the committee's recommendations. Earlier on May 31, the DoE had told the court that private schools which do not refund the excess fees charged by them on the pretext of implementing the 6th PC, will face de- recognition or takeover. The high court had set up the panel and issued directions for refund of excess fees in 2011 on a plea by the NGO, Delhi Abhibhavak Mahasangh. Thereafter, the NGO had moved the court claiming that over 500 private schools were yet to refund Rs 350 crore of excess fee taken from students on the pretext of implementing the 6th PC. It had also sought initiation of contempt proceedings against all such institutions. To ensure compliance of the panel's recommendations, the DoE had on May 29 this year issued a notice to several defaulting schools, telling them that failure to refund the excess fees as recommended by the committee could lead to their de-recognition or taking over of their management by the department.